Program information subject to change. Information attempts to be as accurate as possible, but Galana Music, Ariel Cinii and Best Friends Productions are not responsible for typographical errors. If you think you see an error, please e-mail Best Friends Productions. What are science fiction songs? And what will you hear at a show with a science fiction song-writer? Science Fiction Songs can be original or parody... serious or funny. Ariel Cinii also enjoys composing and sharing humor songs and dramatic songs from life. "Cabaret" means having a space to create whatever you want for an intimate stage, be it comedy, monologues, music (rock, folk, blues, or pop) or the more traditional styles associated with cabaret, jazz and theater songs. If you are interested in your folk, musical theater, or blues act being a special guest, please get in touch! may be taken during the course of a performance. Sponsorship and festival bookings considered. Interested in Performing or have a location that wants a Galana Music Night? Galana Music represents Filk*, Classical, Cabaret and Folk. *Filk is science fiction and fantasy folk music and can include anything from wicked song parodies to thoughtful "what if" stories. 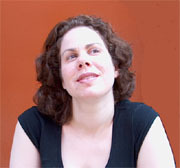 ** Ariel is also a novelist, screenwriter, illustrator, painter and etching artist.